The Next Generation of Fiber Optic Illuminators. State of the art LED Technology. 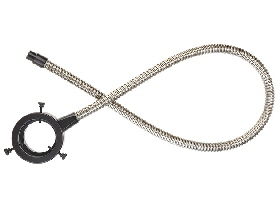 TechniQuip’s ProLux LED Illuminator sets the standard for the new generation of LED Fiber Optic illuminators. Harnessing the power of the industry’s highest performing high-output LED’s, the ProLux LED is a viable alternative to existing halogen technology. Designed for optimal thermal management to maximize reliability and optical performance, the ProLux LED provides exceptional stability, uniformity and a more consistent color temperature than traditional EKE light sources. 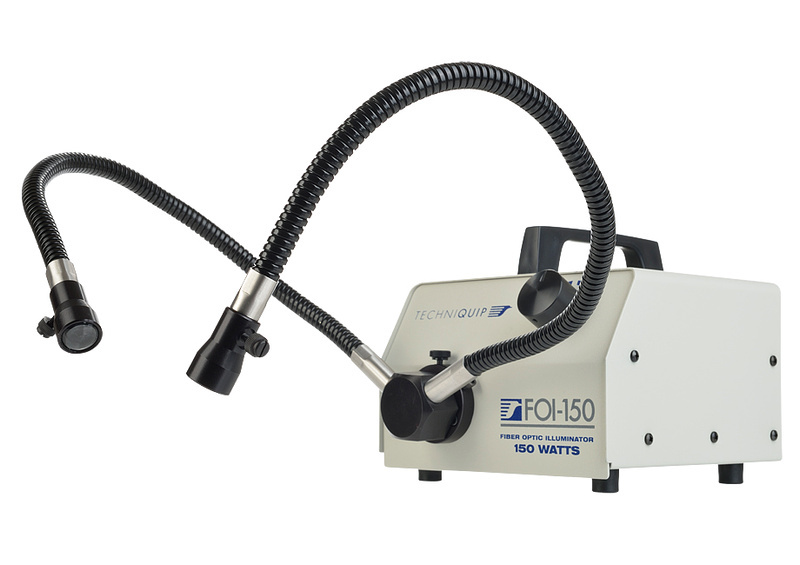 TechniQuip’s FOI series illuminators are well respected worldwide as a durable, reliable, and practical fiber optic light source. 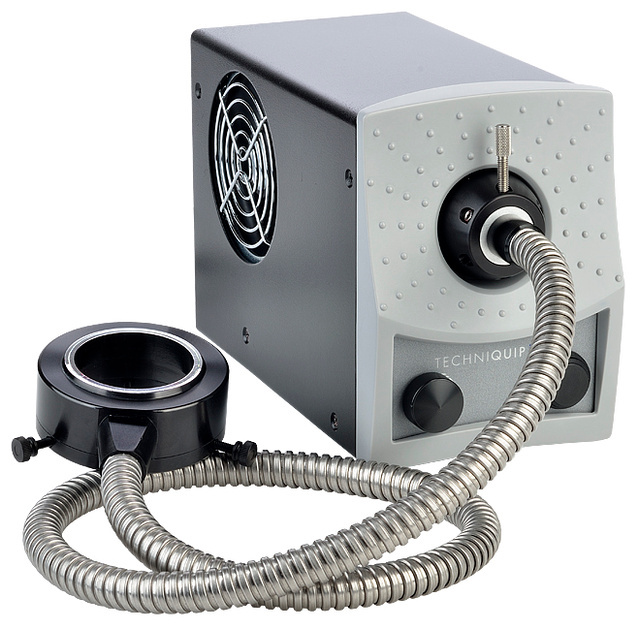 FOI Series illuminators are used in a wide range of manufacturing, microscopy, metrology, medical, research, and other applications. Choose from 150 watt and 250 watt versions. Remote control and high intensity versions are also available.